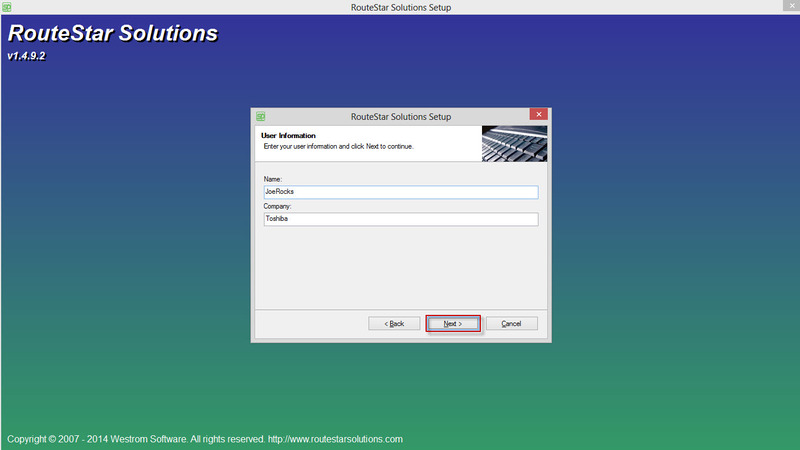 How to update RouteStar to the latest version. 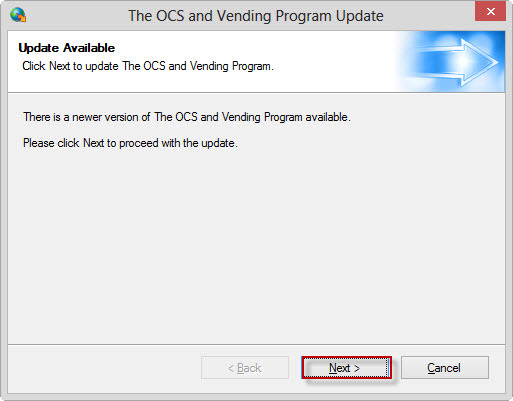 Go to your start menu and then click either "Programs" or "All Programs". 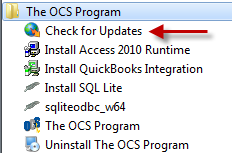 Look for "The OCS Program" folder and then click the small icon that says "Check for Updates". 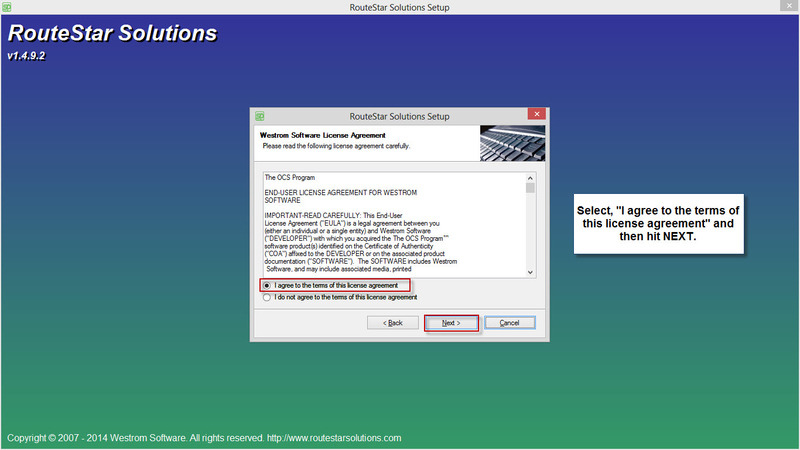 Select "I Agree to the terms of the license agreement. Then hit the Next button. Leave the default information and hit the Next button. Leave the default information and click the Next button. The update is now Complete. Please click the "Finish" button. 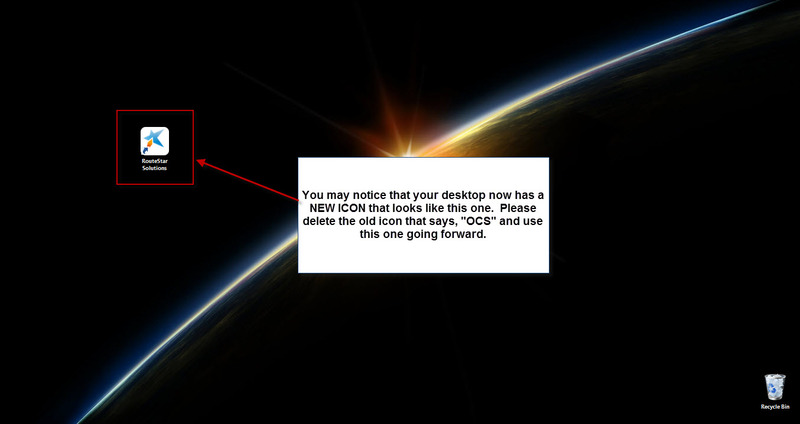 After the Update has completed you may notice that there is now a "New Icon" located on your desktop. 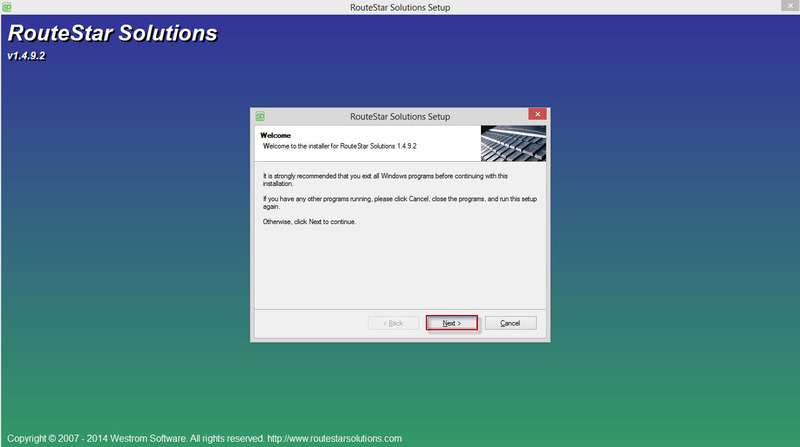 This Icon will say RouteStar Solutions but dont worry its still the same software. 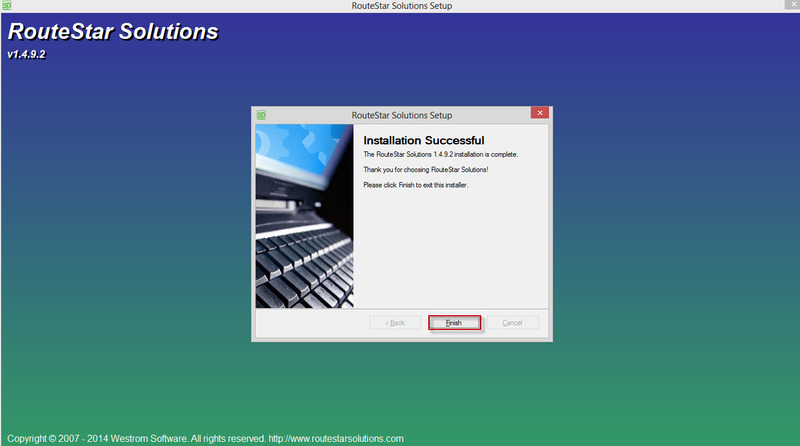 We are simply re - branding the software from OCS to RouteStar. 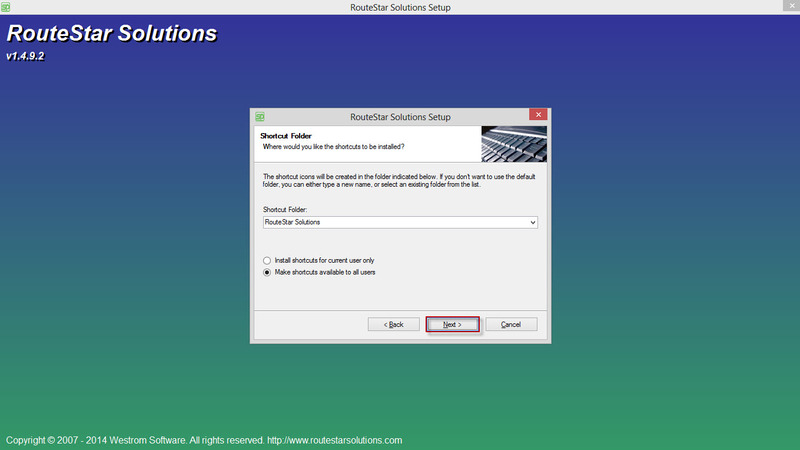 Double click the Icon that says, "RouteStar Solutions". 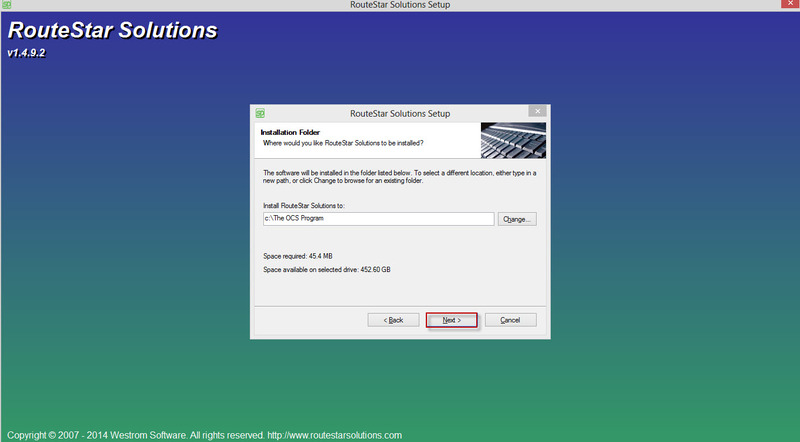 IMPORTANT - If you do NOT follow this step you will HAVE ISSUES getting the software re linked and working. 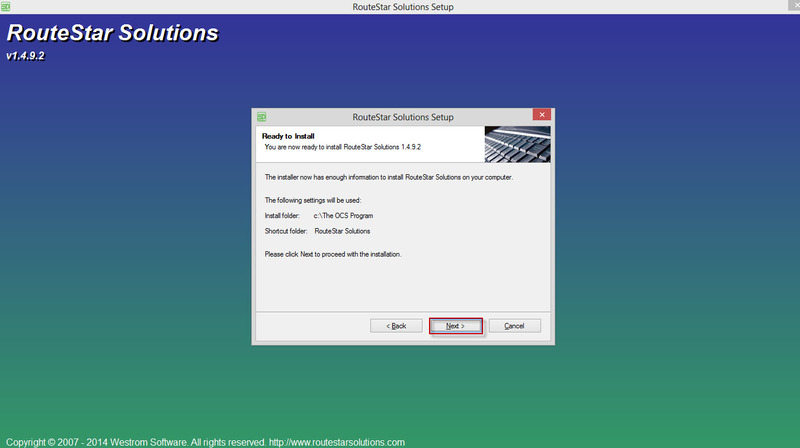 You will need to go to each machine that uses RouteStar and verify that no other machines are currently in the software or have it open. If the software is open on another machine the tables will never re link. When performing this step please re link 1 machine at a time and once a machine is linked up, exit the software on it and then re link the next machine. Hit YES on the popup that asks, "Would you like to use the same location for your backend database?". Leave the defaults and simply click the button that says, "OK". 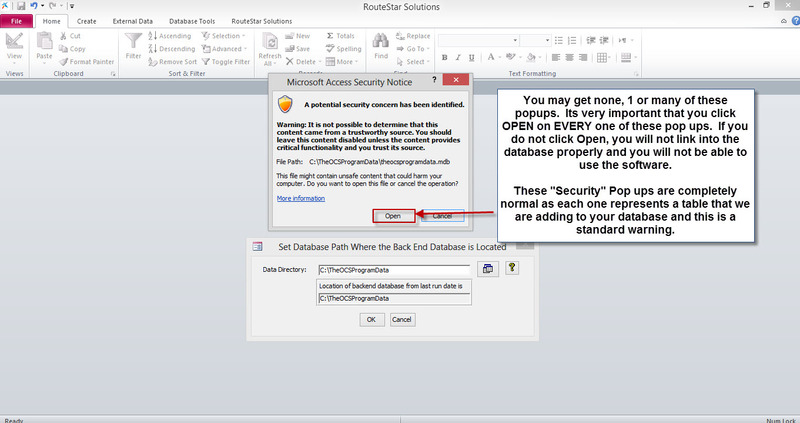 IMPORTANT - You may receive a pop up that says, "Microsoft Access Security Notice" which has options to click "Open" or "Cancel". Its very important that you click OPEN on each and every one of these popups. You may get 1 or you may get 30. Please click Open on each pop up. WHY? 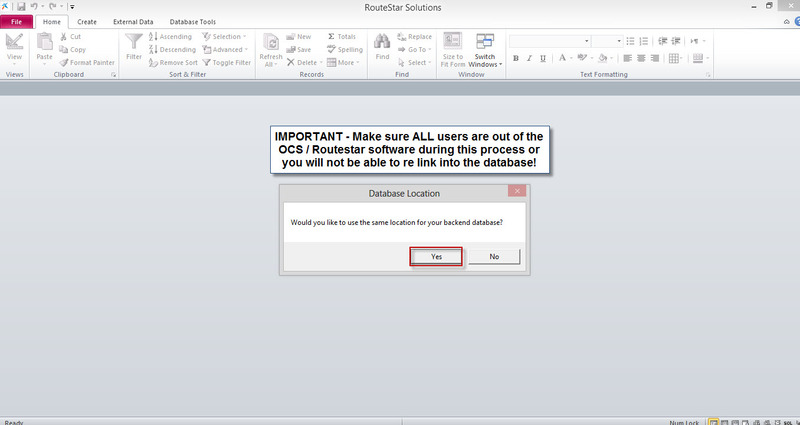 - Each time you get 1 of these "Microsoft Access Security Notices" our software is building a new table in your database. 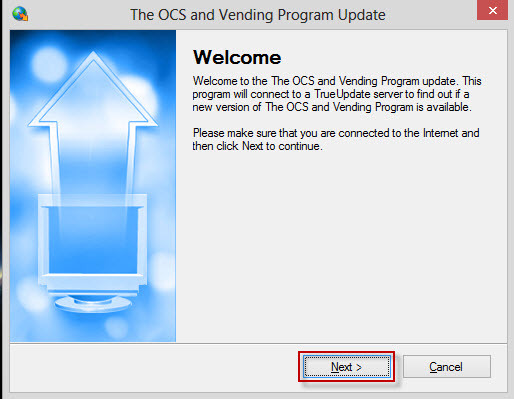 If you click Cancel on any of these pop ups the software will NOT fully re link to the database and the software will not function properly. 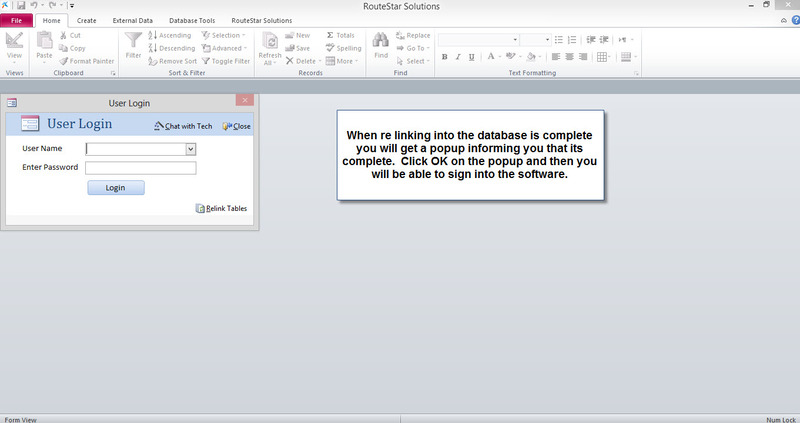 Once the tables have finished re linking you will receive a pop up that says, "Tables Re linked". Click OK on that pop up and then you can sign into the software. 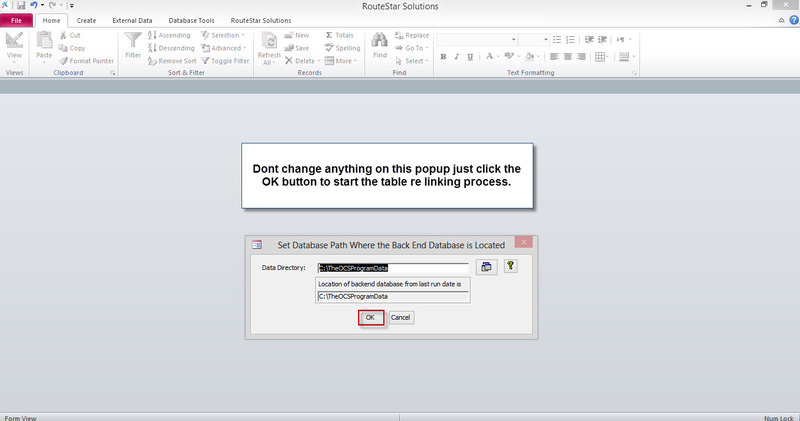 You can now sign into RouteStar!